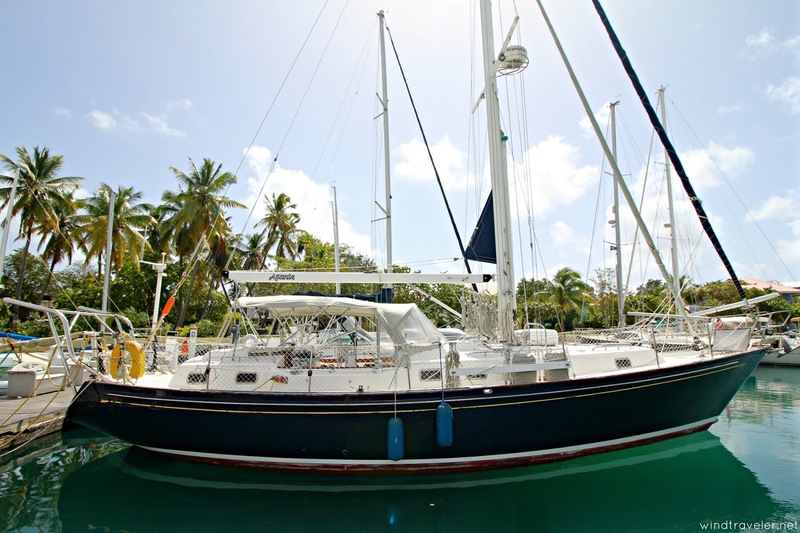 Windtraveler: Asante is FOR SALE: Blue Water Brewer 44 READY TO GO in Tortola, BVI! 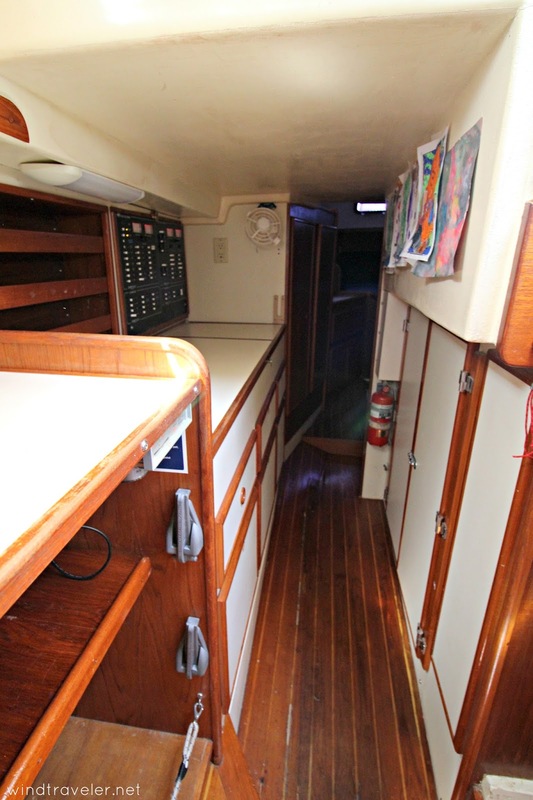 As most of you know, we bought a new boat. It is awesome and it has been a very welcome change for our family. But...we still have our old boat. 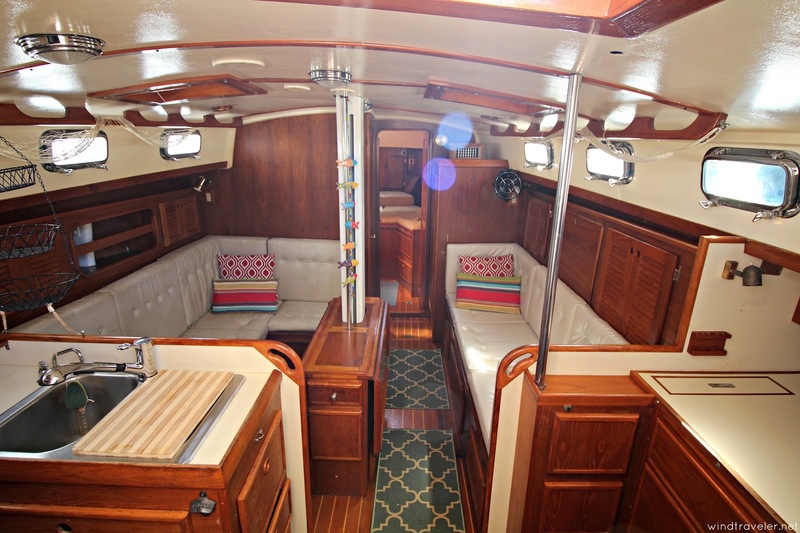 It's been a stressful (and fun) few months with work and the general chaos of life with three small children, but we have finally gotten around to giving our old boat some TLC with a deep interior cleaning and hull polish, and thus have finally created our listing. Please see the downloadable/printable FULL SPEC SHEET PDF of our amazing Brewer 44, and *PLEASE* share! 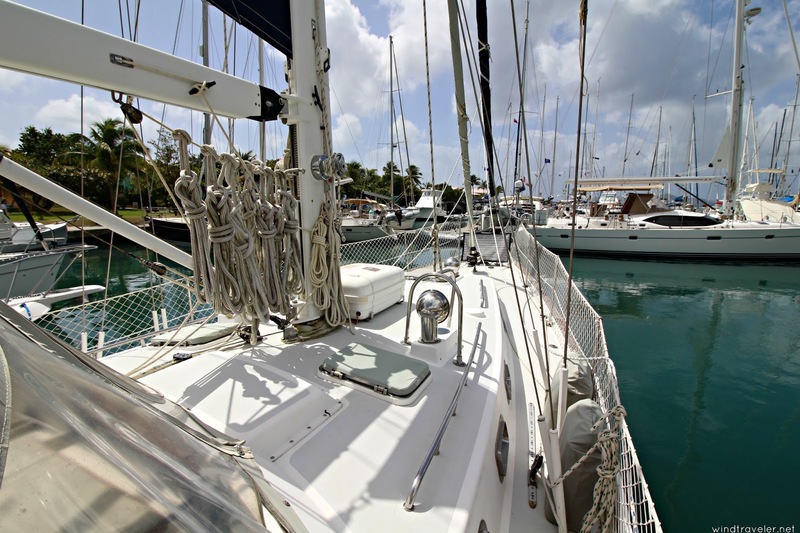 We don't want to own two cruising boats much longer! 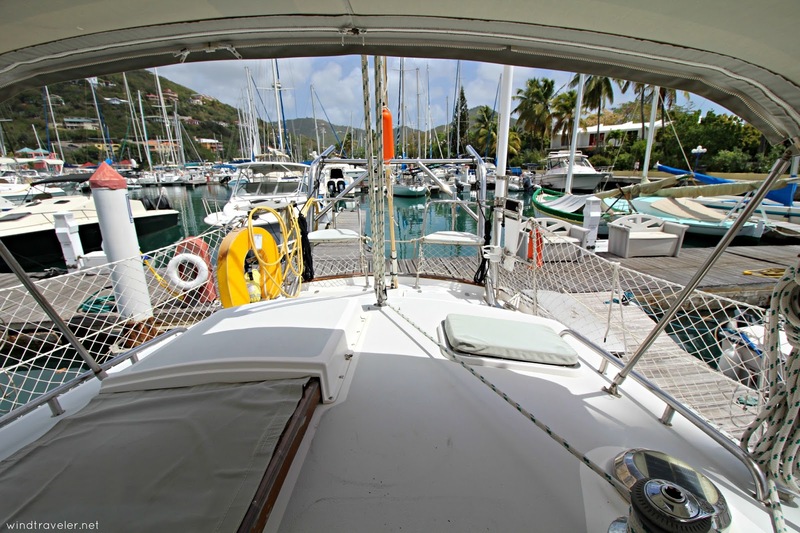 She is ready to go in beautiful Tortola, BVI at the Nanny Cay Marina! ASANTE is a well-appointed and proven blue-water capable Brewer 44 Center Cockpit currently Tortola in the British Virgin Islands - the perfect starting ground for live-aboard cruising! She has been listed among the 10 Best Center Cockpit Cruising Boats by Jordan Yachts and boast many, many features ideal for live-aboard cruising such as: two cabins, two heads, a cutter rig, center cockpit, swim scoop, lots of deck space, and the ability to control all sails from the cockpit...She has a gorgeous interior with a nice, spacious layout, a u-shaped galley, an aft suite with a king size bed, an awesome aft deck shower and TONS of storage. In other words, the bones of a great family cruising boat. To learn more about why we chose her, read this post. She has a navy blue hull, Raymarine electronics, full center cockpit enclosure, bow thruster, in-mast main furler, air conditioning and low hours on the main engine. In 2012 she benefitted from a soft refit and was converted to a cutter rig boat, which makes sailing her a dream, particularly in high winds. Her cockpit is huge and offers a great place to socialize, nap and sail underway. 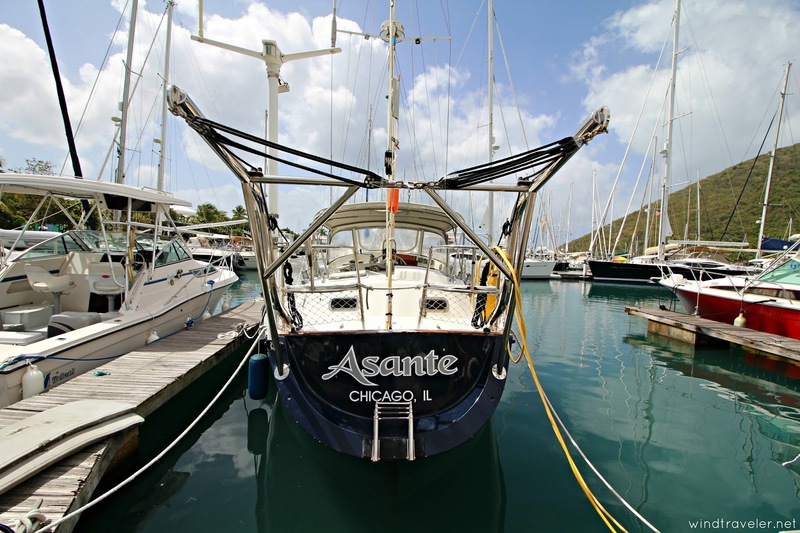 ASANTE has many upgrades including new SSB with Pactor 3 modem (2012), Rogue wave wifi booster (2012), custom 3” & 4” stainless dinghy davits (2012), 280 feet of galvanized chain (2012), and a high output 30 GPH Cruise RO watermaker (2013). 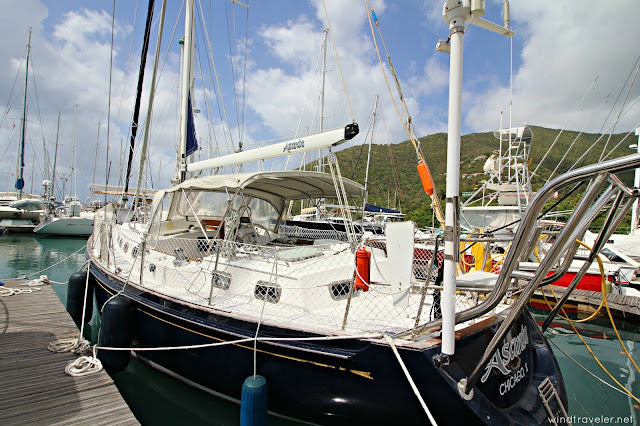 She was upgraded with full-time live-aboard cruising in mind and therefore has all the comforts of home, with the full functionality of a well appointed cruising vessel. To see a list of all the work we did to her when we bought her, please see our post about the mini-fit which outlines all the work we put into her. 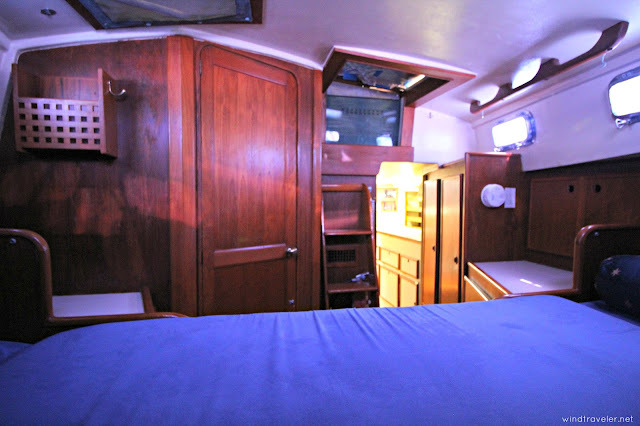 We have been live-aboards for the past four years and are only selling because we needed a bigger boat to accommodate our family of five. She has been lovingly and very well maintained by and is ready to go sailing today. She comes VERY WELL EQUIPPED and we'd love to see her sail off to another horizon. 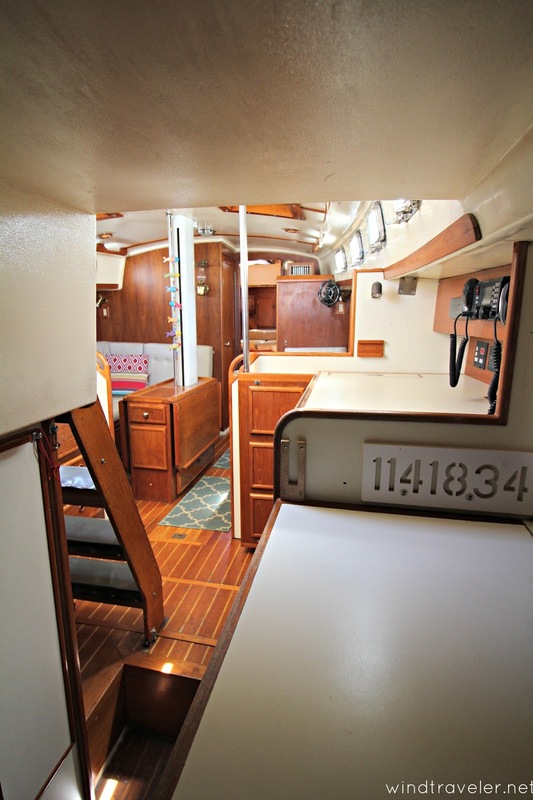 We are listing her "priced to sell" at $129K. 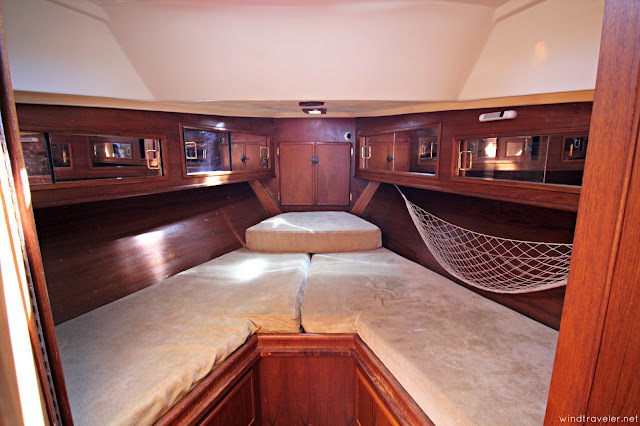 The main saloon. TONS of storage abound. 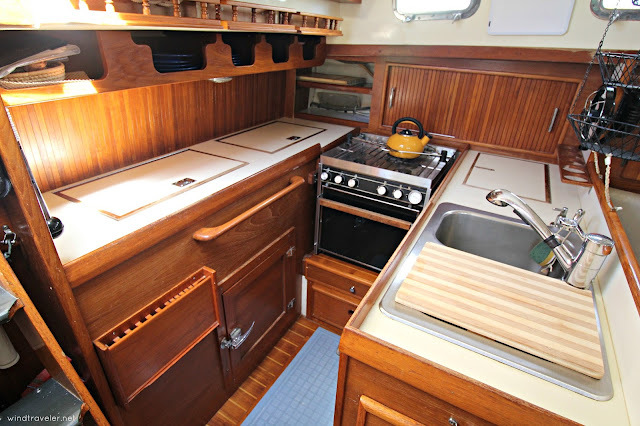 The galley, again, TONS of storage. Also boasts a front and top loading refrigerator, and an ample top loading freezer. The nav station with new electronics and new control panel. 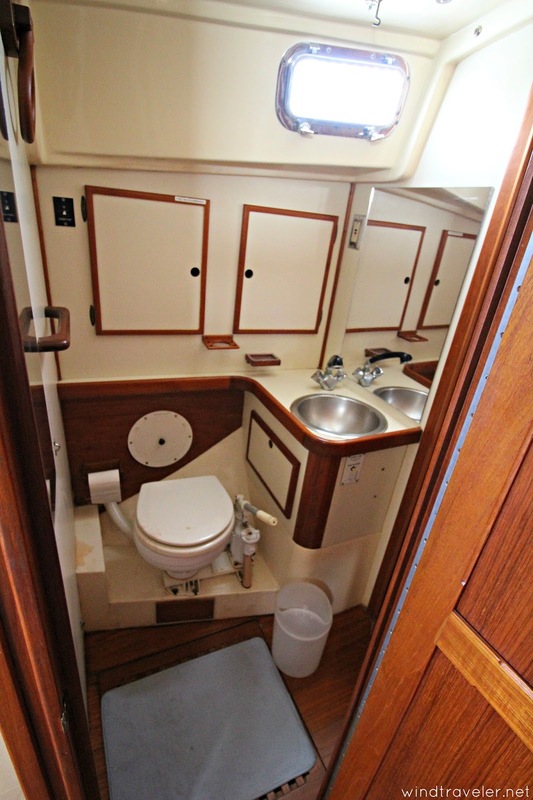 Forward head with two access doors so v-berth is en-suite. The v-berth, again, TONS of storage. 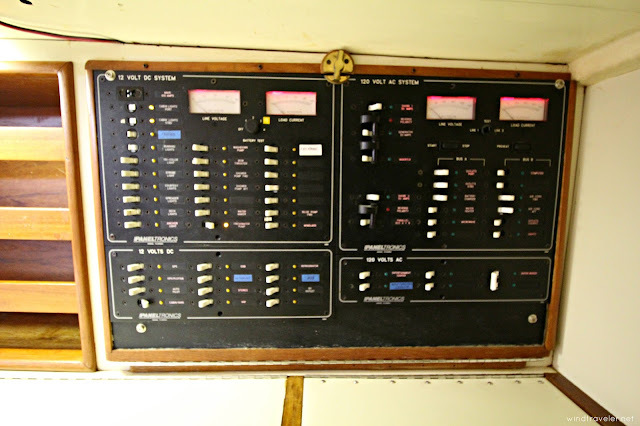 There is a large hanging locker to port not pictured. 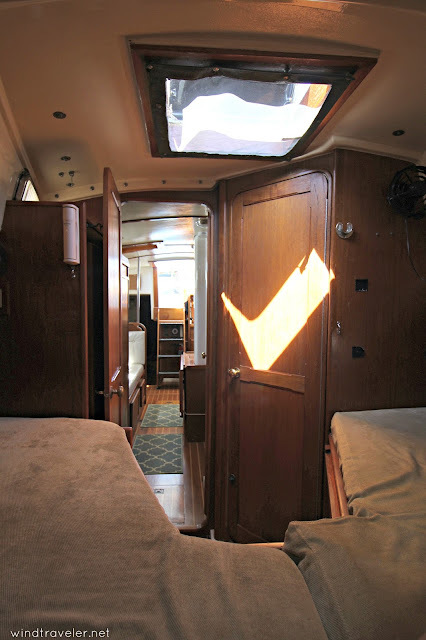 The walk-thru to the aft cabin. The control panel, easy access - it pulls down so working on wiring is easy. 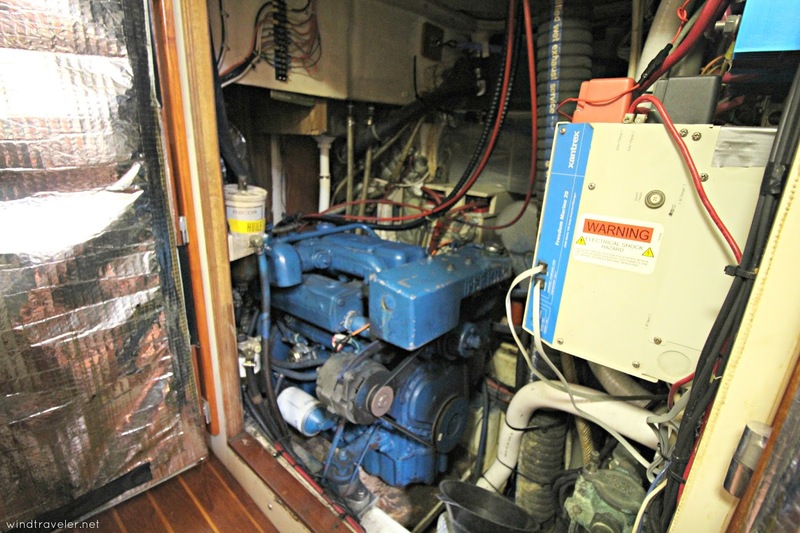 Engine room access that most boaters DREAM of. Nothing was out of reach. Such a bonus. 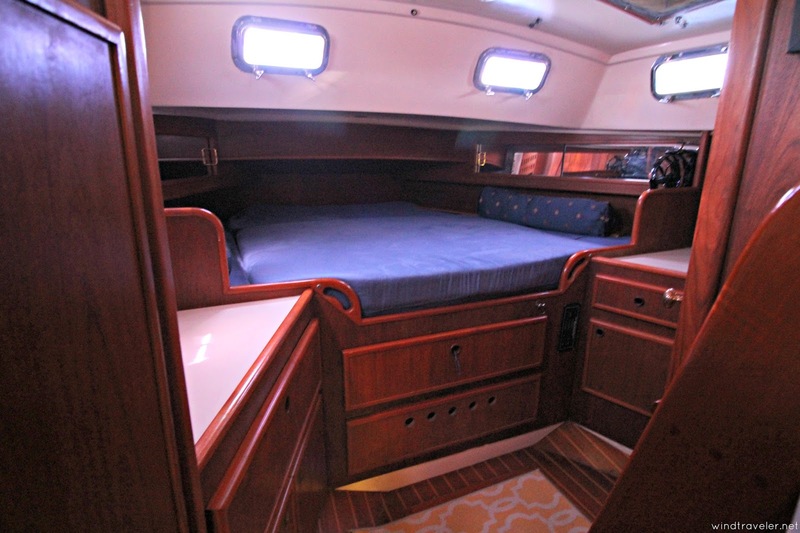 Aft cabin with king-size bed and plenty of storage. Bright and airy main living area. Love all the light! 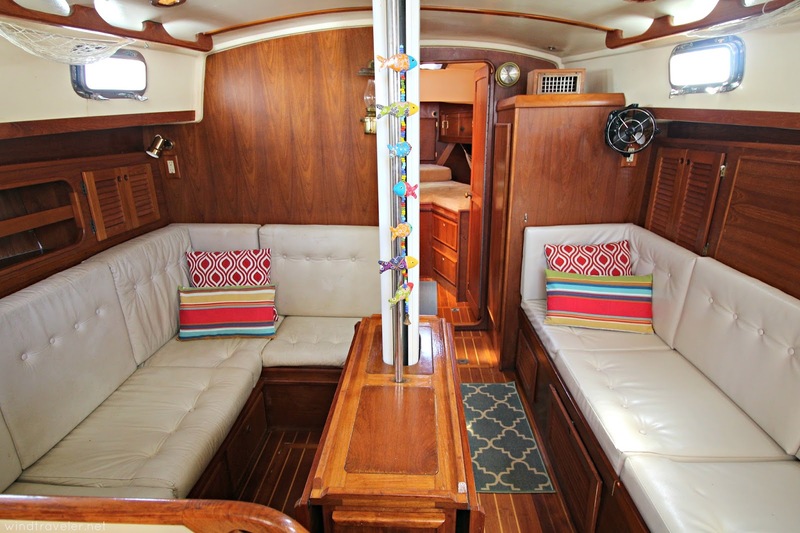 Lots of opening ports and hatches makes this boat super comfortable at anchor. Roller furling boom makes Asante easy to singlehand. Miss this cockpit - so much space to play, hang out and entertain! 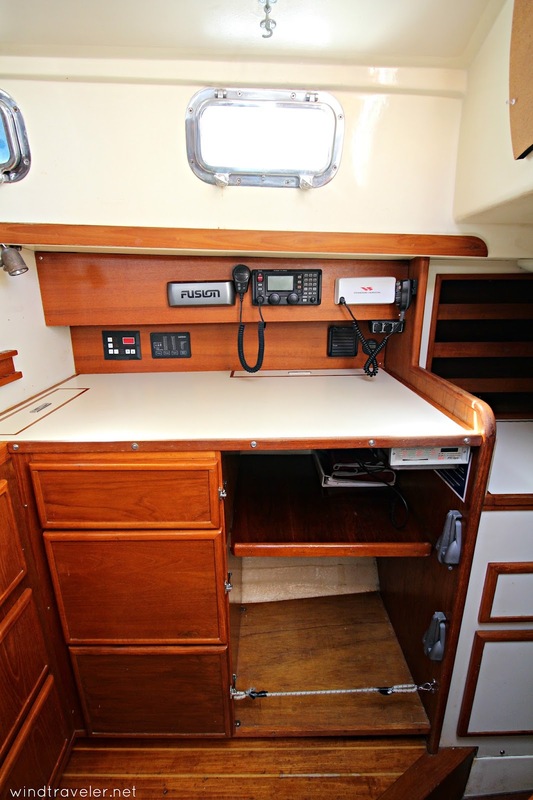 Aft cockpit is roomy making for loading and off loading the dinghy a breeze. 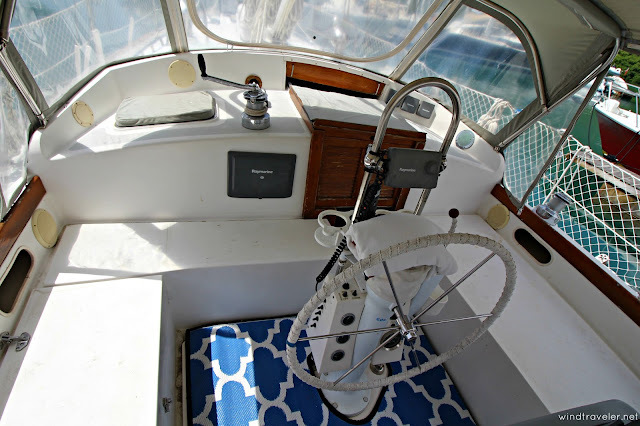 Trusty windlass with foot switches (and a helm control) and 280 feet of chain. Great set up. 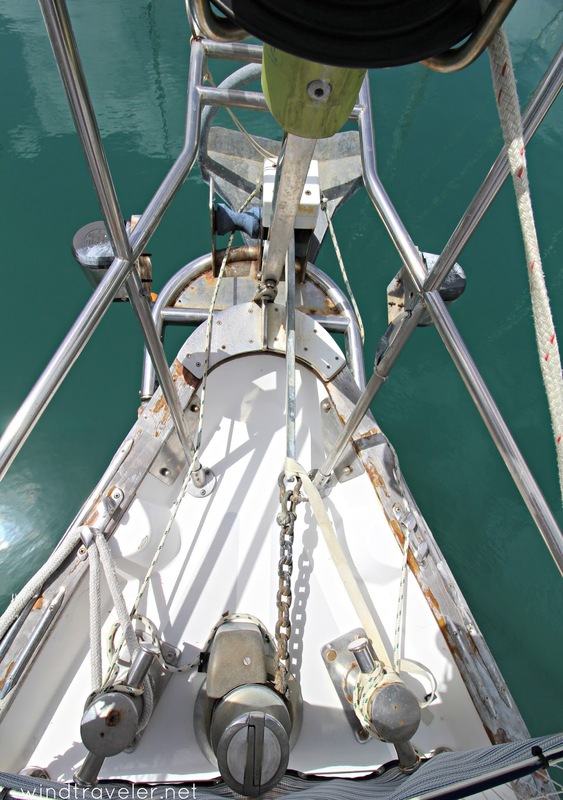 We LOVE the cutter rig. 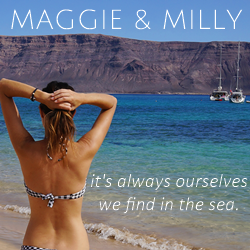 We'd be hard-pressed to buy a boat without one. So many sail options and easy to change sails in shifting conditions. The davits!! They are custom and amazing. Super ridgid and strong, and make hauling the dinghy up and down a breeze. 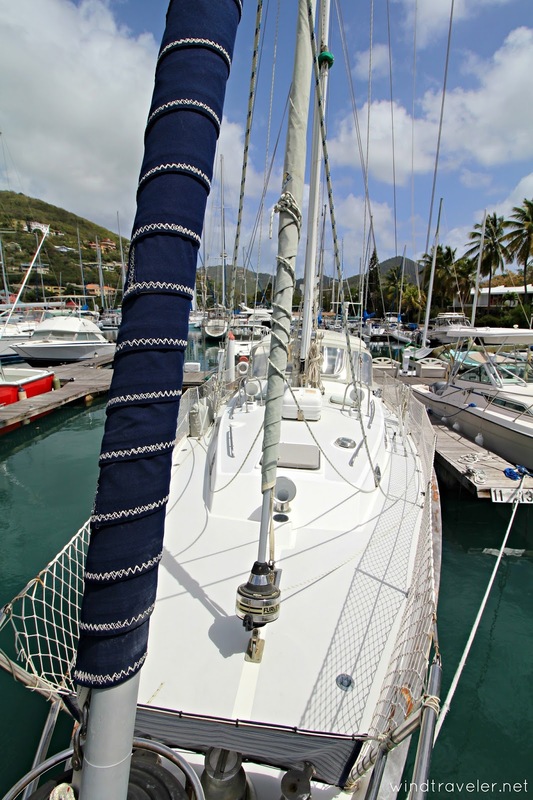 If you are looking to toss off the dock lines and go cruising in the Caribbean - this could be your vessel!! 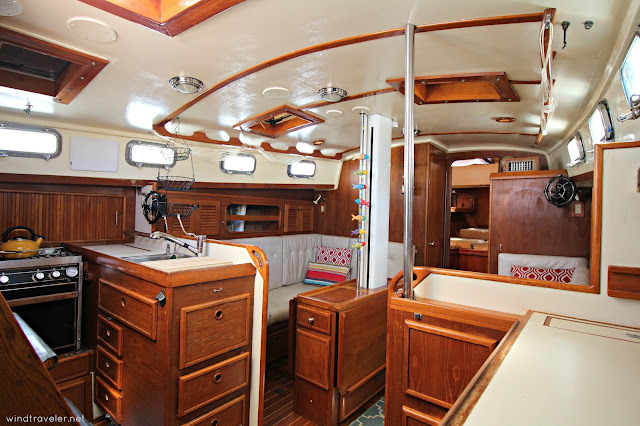 She is a great boat and has made our family very happy and safe the past four years. 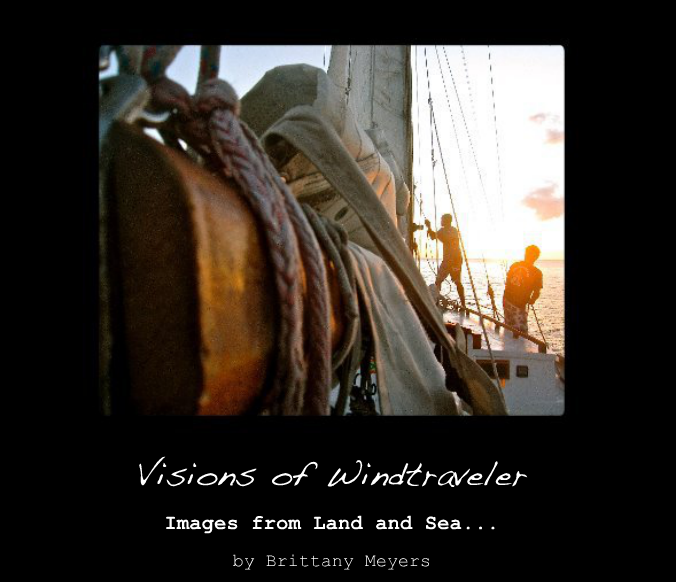 Please feel free to share this post and any interested parties should email windtraveler 09 (at) gmail.com. Thank you! Our last boat sold in less than 50 days after we listed her on our blog, please help us break that record and get another great family out on the water! SHARE! They now have fiberglass deck boats with modified "v" hulls also fiberglass catamaran deck boats. Both have the performance to carry 6 passengers and also pull a skier. 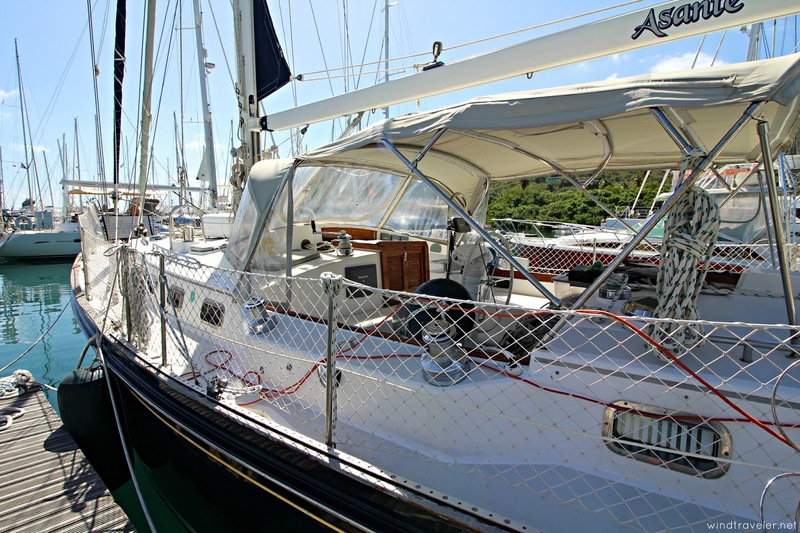 Standard aluminum deck boats can accommodate your passengers, but usually cannot tow a skier. 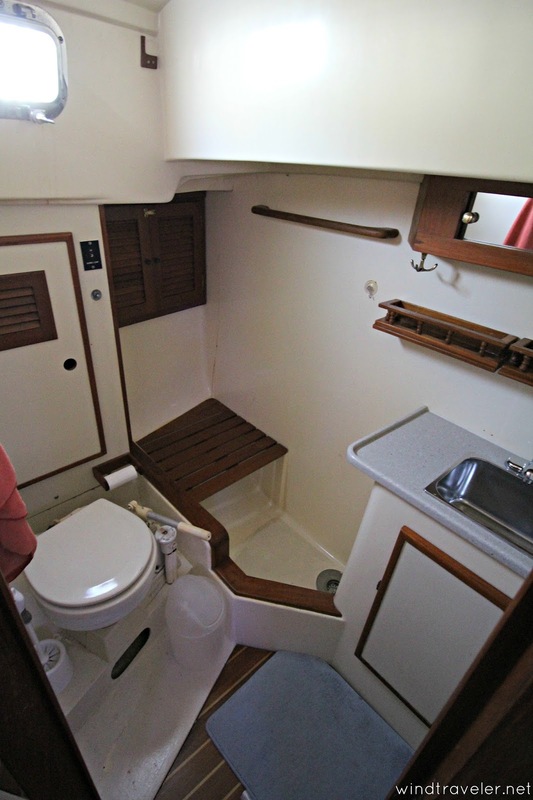 The ride of the modified v or fiberglass catamaran is much more comfortable also. 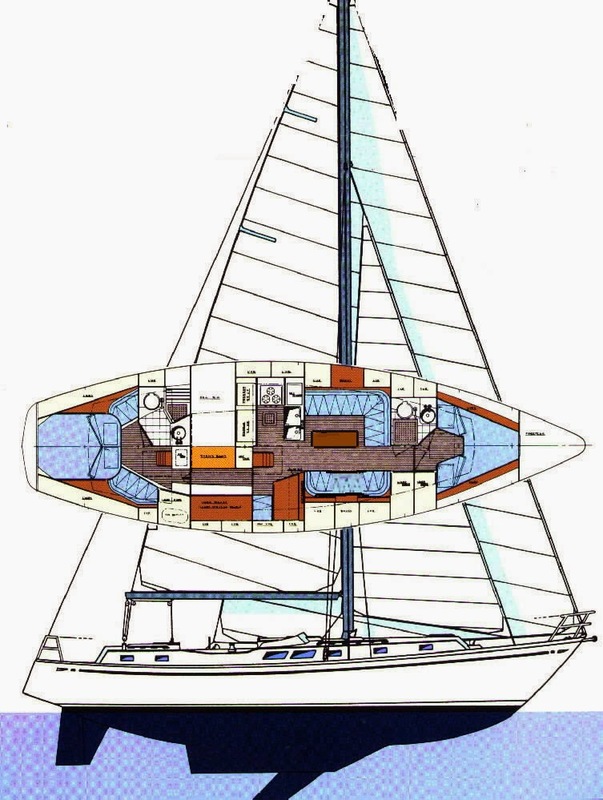 With the modified v or fiberglass catamaran you have the best of both worlds. 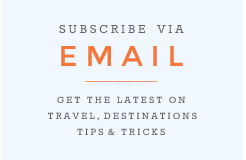 Check out: https:boatingmagz.com .